Un carro medio experimental. Desarrollado entre 1953 y 1958 en Nizhny Tagil para reemplazar al T-54. Se construyeron dos prototipos, pero en 1958 se terminó el proyecto en favor del Object 430. The Obj 140 is a very nimble and in the right hands, a lethal Russian medium tank. It offers an easier transition from its' dominant T-54 predecessor as the 140 offers a more similar playstyle than its cousin T-62A. Comparisons between the three tanks are impossible to avoid though they all have their own subtle differences. Obj 140 does have better acceleration and top speed than T-62A though the superior soft stat terrain resistances of T-62A allow it to dodge and maintain speed better during turning vs 140. This is not to imply that the obj 140 is slow, far from it. This tank is very fast and drivers should make sure to avoid the temptation to extend beyond the help of their teammates if they wish to stay alive long enough to be effective in battle. Though the Obj 140 does have a better sloped frontal armor profile than T-62a, neither has enough effective frontal armor to be reliable at tier X. 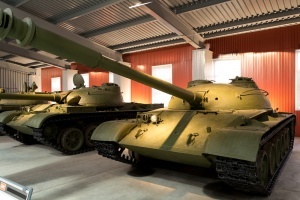 Both have less effective armor than T-54 and are one tier higher facing higher penetration guns on enemy teams. Care should be taken to ensure one is hull down when targeted and not expose the front hull to any tier X and nearly all tier IX tanks. The turret is a very small target, though slightly weaker than T-62A with the thin roof. This thin armored roof becomes even more of a risk if the Obj 140 is below its’ enemies and its' cheeks next to the gun will not stand up to Tier X TD rounds. As a result, the Obj 140 is best played in a hull down location just behind very short elevated ridges faced sideways to the enemy where it can dance close along the edge of the hill back and forth quickly. Examples include the ends of the ridges on the hill in Middleburg or the edges of the hills in Desert Sands. The excellent soft stats of the gun and very fast turret traverse make snap shots in this constantly moving method very effective. This constant motion will help most shots to miss, and lead to likely bounces with those that do land, though take extra caution vs Tank Destroyers with high penetration as few of their rounds will bounce on Obj 140's turret. And the extra degree of gun depression vs T-62A gives a little more flexibility and forgiveness when choosing locations for this tactic. The extra armor slope and gun depression will allow for front-facing hull down positions, but those are still few and far between with a mere -6 depression. The Obj 140 can choose to brawl with other medium tanks as the armor is a little bouncy and it has an excellent gun in terms of penetration, DPM, and handling. Though running straight into all out medium tank brawls is not a recipe for longevity or consistency in performance. One must remember that keeping the best DPM in Blitz alive in the match as long as possible should be the primar goal. To that end, taking forward hull down positions early in the match with routes for escape should be the goal when playing Obj 140. Remember not to take penetrating hits, don’t display the 140’s right side to the enemy where possible as ammo racks are more likely from the right. If you do get pushed out of that forward position, don’t be afraid to retreat, stay alive, reposition and continue an attack elsewhere. Overall the Obj 140 is an extremely capable tier X medium tank with plenty of similarities and subtle differences between it's cousin T-62A. Played judiciously, Obj 140 can use it’s combination of speed, excellent gun and very good turret to dominate a match. Object 140 was an experimental medium tank developed between 1953 and 1958 in Nizhny Tagil in order to improve/replace the T-54. 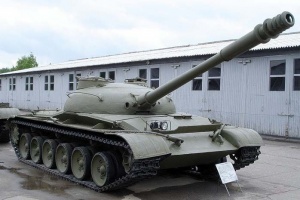 Two prototypes were built, but in 1958 the project was terminated in favor of the Object 430, better known under his production designation T-55. At the time when Morozov was working on his Object 430 tank, a young engineer, Leonid N. Kartsev, was the head of the OKB-520 design bureau of Uralvagonzavod factory (UVZ) in Nizhny Tagil. He was responsible for the T-54A (Object 137G) and T-54B (Object 137G2) modernizations of T-54 main battle tank. After work on the T-54M (Object 139) modernization was abandoned he and his design team started working on a new tank, called Object 140. The new tank had a suspension with six light road wheels made of aluminum. The turret was cast and armed with a 100 mm D-54TS tank gun with the Molniya two-plane stabilization system. The tank carried 50 rounds. The chief designer of the legendary V-2 diesel engine, Ivan Trashutin refused to modify the engine to demanded 580hp specification, so Kartsev turned to Barnaul engine plants chief designer Evgeny Artiemejev. The plant manufactured V-series engines for agricultural and other domestic applications. Artiemejev received the idea well and agreed to develop the 580hp version. After initial prototypes were completed, the weight stood at 36.5t, a half ton over the design specification. Kartsev choose to work the weight down for real, instead of hiding it to the paperwork (an usual procedure among designers of the era). To overcome this, aluminum roadwheels and aluminum engine cover were introduced among other minor modifications. The engine was turned on its lap to the bottom of the hull, a solution which reduced the height of the engine compartment but caused further modifications to the engine and considerably complicated maintenance. In 1957 Uralvagonzavod built two Ob'yekt 140 prototypes which were put on trials soon after. On hes memoirs Kartsev recall that during assembly and factory tests he became more and more aware that the tank was low-tech, difficult to operate and repair. Only one plant in the whole soviet union was able to cast some of the necessary plates, and specific parts on the engine compartment were not serial productable at all. Kartsev mentions that his engineers needed to use dentist mirror to install exhaust collectors from a hatch below the tank. After few sleepless nights, Kartsev decided to write a letter himself to the Central Commitee, and demand the cancellation of the project. To his surprise, he was agreed and not even punished for wasting 16 million rubles of public money on the project. 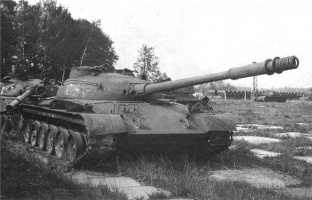 Whilst still on moral guilt from hes failure, he started working on yet another T-54 main battle tank modernization called the T-55 (Object 155) in which he included one of the key innovations from his Object 140 tank: the upper fuel tanks were fitted with mounts for tank gun ammunition. This increased the ammunition load carried by the tank to 45 rounds. The aluminium roadwheels later made it to the T-72 tank. Esta página fue modificada por última vez el 25 oct 2016, a las 11:02.